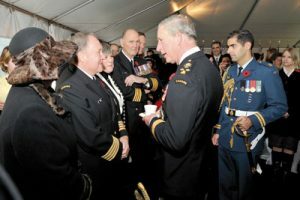 HCapt(N) Cedric Steele had the opportunity to meet His Royal Highness, The Prince of Wales at the reception during the Royal visit to CFB Esquimalt in 2009. Businessman and philanthropist Cedric Steele has been involved with countless charities and community groups over his life, but says his role as Honorary Captain (Navy) stands out as a great achievement. Last Thursday, the 71-year-old honorary sailor bade farewell to his position, retiring after 18 years donning the officer uniform, (although his official retirement is December 2015). The successful real estate entrepreneur – originally from South Africa – has been instrumental in raising the navy profile in Victoria for over two decades. Welcome to Victoria, home of Canada’s Pacific Fleet. He also championed bringing American aircraft carriers to the island as a way to boost Victoria’s tourism economy and raise the profile of our American ally to Victorians. This earned him the U.S. Navy and Marine Corp Achievement Medal in 1999, and Gold Star in lieu of a second achievement medal in 2000 for his work with the aircraft carriers USS John C. Stennis and USS Abraham Lincoln. 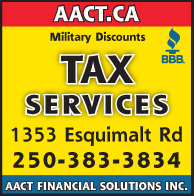 His relationship with the Canadian military developed while serving as president of the Greater Victoria Chamber of Commerce in the early 1990s. 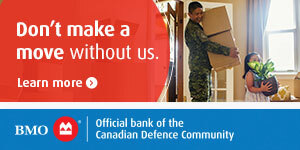 “I was invited to be part of the CFLC (Canadian Forces Liaison Committee), and help them encourage employers to give reservists time off, “ he says. He was then invited to sail in HMCS Regina during its trip to Vietnam. “All of it was at my own expense. This was my first real experience with the navy. I flew to Hong Kong and joined the ship. We were the first warship into Vietnam since the Americans left in 1976. There was quite a big to do at Ho Chi Min city,” he recalls. When offered the Honorary Captain position, Steele accepted without hesitation. “Throughout my 18 years, the objective was to show local people and Canadians the capabilities of the Royal Canadian Navy,” he says. His Thursday farewell, held at the Wardroom, went beyond the normal depart with dignity function. Steele opted for a more humour-filled event, offering himself up for a roast. With his naval uniform hanging in his closet, and his rack of medals, including the Canadian Forces Decoration and the Meritorious Service Medal, tucked away, Steele now turns to his attention to retirement. He announced recently that Prospect Lake Golf Course, which he owns, will close at the end of this year. He won’t be selling the property though; in his true philanthropist style, he plans to make the facility available to special needs children. As time progresses, his affiliation with the navy will dissipate, but it will never end.